Home > Make your own oil paint! 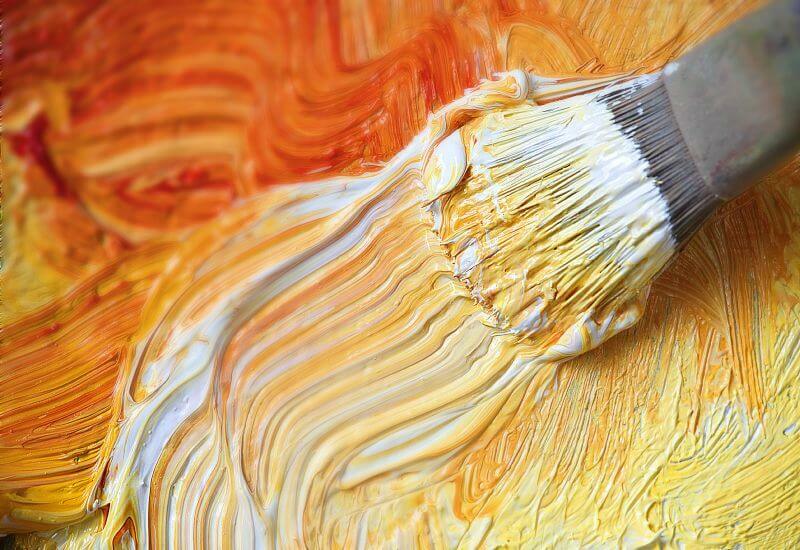 Did you know that the Old Dutch masters used to mix their own paint? Would you also like to try to make your own paint? We give our recipe below! Take linseed oil, select the pigment you want from the Old Holland range, and get started! 1. Scoop two teaspoons of pigment onto the glass slab and moisten it with a drop of linseed oil. 2. Using the palette knife, mix the pigment and linseed oil into a firm paste. Take account of the properties of different pigments. Some pigments have low oil absorption and others have high oil absorption. When grinding pigments with low oil absorption, you will soon have to add more pigment in order to obtain the right consistency. Pigments with high oil absorption will require more oil while grinding. 3. Take the glass muller and grind the paste firmly onto the slab, with a figure of eight movement. 4. The paint is good if you can take a little of it on the palette knife and then shake it off, this should leave a little ‘crest’ of paint. 5. We recommend you store your home-made oil paint in an empty tube. This has the advantage that no air can get at the paint when you squeeze some out.